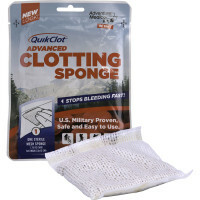 Quik Clot® - Quikclot is a chemically inert material in a mesh bag that speeds coagulation of blood, resulting in a stable clot that stops bleeding. 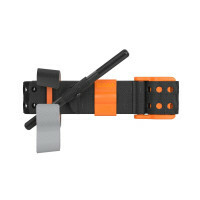 HemCon® Strip First Aid (Kytostat Bandages) were proven to be effective lifesavers in combat. 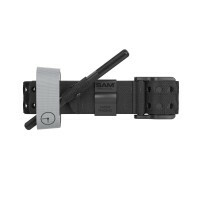 HemCon is a top choice of America's Armed Forces to stop severe bleeding. 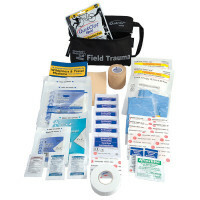 Now the same advanced, natural blood-stopping technology can go right into your first aid kit. 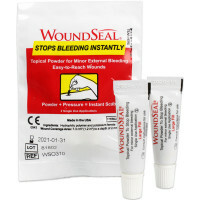 WoundSeal (QR Powder) stops bleeding instantly. QR does not wait for the body's clotting process to take place. QR Powder does not burn the skin and does not cauterize. QR Powder is non-toxic and is not biologically derived. 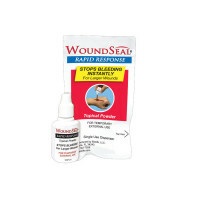 Blood Clotting Spray & Spray on bandages - Our blood clotting spray helps control superficial bleeding by forming an immediate porous, skin-like film over minor cuts and abrasions. 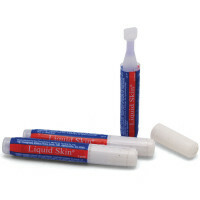 Promotes healing and helps prevent infection. 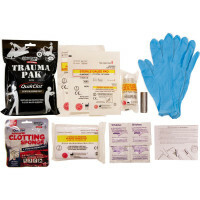 We offer Quikclot, Kytostat by HemCon, Woundseal, Blood clotting Sprays, Spray-on bandages and many other products that are used to stop bleeding and keep it stopped so clotting can commence. 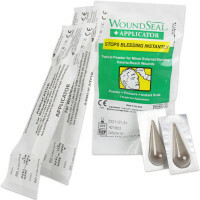 The advanced technology that goes into making these products such as HemCon Strip or Woundseal shows that they can stop bleeding immediately and can be done in different ways, yet the out come is the same: no more bleeding!